The Metropolitan Transit Authority (MTA) is expected to seek another fare hike, the second in a year. Even though it operates the kind of subway system that comes to a grinding halt during minor acts of nature (did you get to work okay this morning, or are you still somewhere near Flatbush Ave. on a train besieged by three inches of water?) 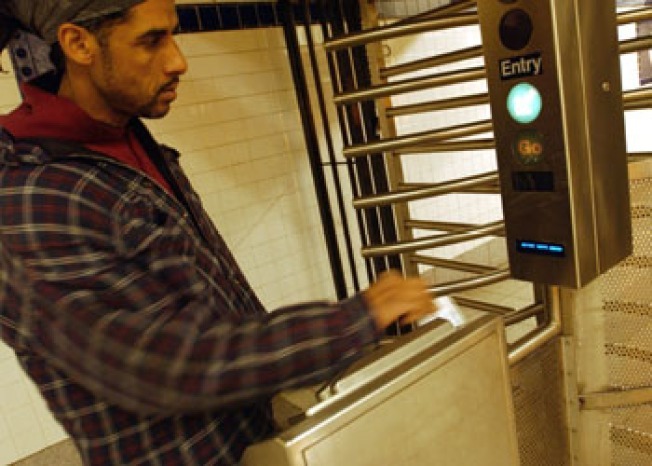 and takes two out of every five lines out of regular operation "between 12:01 AM Saturday and 11:59PM Sunday," the MTA wants to raise subway fares again, the NY Post reports. Nope, you're not mistaken, the last increase was pretty recent - it was seven months ago, to be exact. The new culprit? Apparently the agency's budget planners "hadn't foreseen the global economic crisis headed their way." That's right: They just plain didn't see it coming. Hey, that line worked for the banks and the government - why not the little ol' MTA?